In the right markets, free range eggs can fetch a much higher price than the commodity eggs that come from a factory hen house. But if you try to sell to people who don’t appreciate the added value or you face a significant amount of competition, it can be harder to capture that higher price. There’s almost always a way to increase sales (either by selling a higher volume or at a higher price), provided you’re willing and able to adjust your sales and marketing strategy. Sometimes, all you need is a minor change, but sometimes you may need to make a more fundamental shift. A small tweak might involve creating a new logo that helps position your product as a luxury brand. A major change might require you to reformulate a significant part of your business. For example, Good Egg Marketing is currently working with Sanctuary Herbs of Providence, which sources their teas and herbs directly from Rhode Island’s refugee and immigrant farmers. Currently, Sanctuary only sells bulk teas. In addition to redesigning their labels (a minor tweak), we also discussed whether they should also produce tea bags (something with a major impact on operations as well as marketing). Whether you’re a marketing newbie or a pro, spend some time brainstorming about how you could make changes in each of the Ps. While you’re doing so, you may come up with a genius idea that helps you ignite sales. What: Review the products and/or services that you offer. You might have been the first café serving avocado toast in your area, but now that everyone but McDonalds has it on their menu, it may be time for, I don’t know, Kumquat croissants. If year-over-year sales for your #1 product are declining, do some quick market research to determine if this is an industry-wide trend. If so, it may be time to develop some new flavors, make your service more convenient, or look for new product formats. Example: U.S. Greek yogurt sales grew by 2,500% between 2006 and 2011, but fell 4% in 2016. 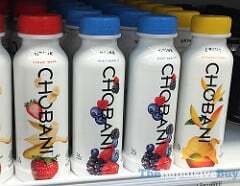 Companies like Chobani are continuing to increase Greek yogurt sales by creating new products like yogurt drinks. And General Mills launched a successful new French-style yogurt, Oui by Yoplait, packaged in little glass pots. Brainstorm: How can you expand or adapt your products or services to address changing market needs? Resource: Are you a trend spotter? What: It’s always a good idea to review your pricing strategies. Are you charging enough to cover your cost of goods, marketing costs, and a profit for each of your products or services? Have your peers/competitors changed their prices in the past year? If you’ve got a new low-cost competitor, should you consider adding a new service with fewer bells and whistles that you can sell at a lower price without diluting the value of your brand? Example: Pete and Gerry’s Organic Eggs also owns a sister brand, Nellie’s Free Range Eggs. The eggs from the premium brand–Pete and Gerry’s—are free range AND organic, and sell for $5-$6 per dozen. The eggs from Nellie’s are free range but not organic and sell for $4-$5 per dozen. By creating two brands with different features and price points, they’re able to reach a broader range of the market. 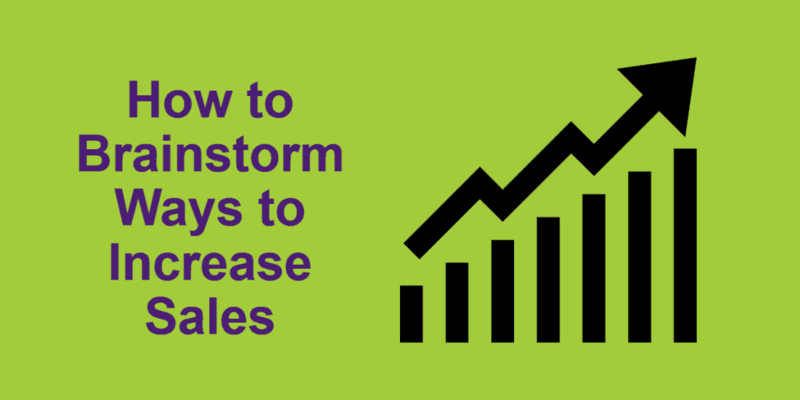 Brainstorm: If you need to increase your sales volume to decrease production costs, would adjusting your prices (up or down) increase sales (and profit)? Should you offer a promotion, such as buy one, get a second product half price, that would stimulate sales, or will it cheapen your brand? The Farmer’s Office offers a live webinar that will help you review your cost of production and conduct a competitive analysis. Good Egg Marketing email subscribers can attend the pricing webinar for free, using the discount code “GEMrocks”. Scott Sanders’ Shelf Talk is a fun blog with great insights about pricing, merchandising, and the grocery industry. What: In the age of Amazon, two-hour delivery, and increasing inventory at convenience and drug stores, we have to reconsider how customers can obtain our products and services. Maybe it’s time to hitch your toddler’s little red wagon to a tricycle and offer neighborhood delivery. And remember, convenience sells, whether you’re offering online ordering, delivery, or making your product easier to use. Example: EverGreen Delivery has delivered Christmas trees to Boston-area homes by bike for years, setting them up in a stand for those who wanted the help. This year, they started offering tree removal and mulching. For environmentally conscious but busy people, it’s a no-brainer. This didn’t involve creating a new distribution channel for EverGreen, just making additional usage of the channel they’d already developed. Brainstorm: Is there an additional place or channel you can use to make your product or service more available or more convenient? What: Businesses and nonprofits exist to serve people. Reflecting on your customers, your peers/competitors, and your staff can help you achieve your goals, especially if you’re a mission-oriented business. Are there new types of customers who might want your products? How is the competition changing? Are your staff trained to offer a great customer experience? Example: Curio Spice Co. buys spices, herbs, and salts directly from coops and farmers in the US and globally. They sell wholesale, online, and through a tiny storefront in Cambridge, Mass. Owner Claire Cheney and her staff know every product they sell and can tell you where it’s sourced, why it’s the best of its kind, and how to use it. If you’re a cook, you’re going to want to buy everything in the shop. Curio Spice puts its staff, its farmers, and its customers first, and it shows. Brainstorm: Is there an aspect of your sourcing, your customer service, or your staffing model that makes your business special? If so, how are you sharing that information with your customers? If not, are there any aspects of your business that you could adapt to better reflect your values? Resource: For inspiration, read about the legendary customer service offered by Zingerman’s. What: The look and feel of everything you do are such an important part of marketing that I’ve made it a separate P. In addition to your logo, color palette, images/videos, and other elements, using unique packaging or adding a twist to your presentation can create a wow factor that will make your business memorable. Example: CERO Cooperative provides commercial composting in the greater Boston area. Their website includes a short, clever “explainer” video that describes how food businesses can save money and obey the law by using CERO’s composting services. By clarifying a somewhat new and complex service in a fun way, they stand out among the more traditional waste removal companies. Brainstorm: Do you admire any businesses or organizations for their unique sense of style? What types of images, colors, or stories do they use to present their business, product or service? Use these elements to inspire a new concept (but don’t plagiarize!). 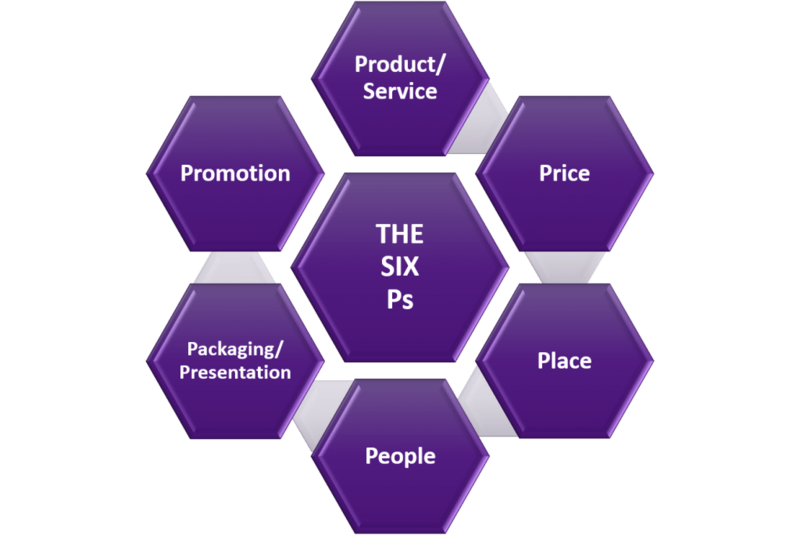 What: Promotion is what most people think of when they think of marketing: Advertising, websites, social media, flyers, etc. Basically, it’s any way that you have of telling the world about what you do. Effective promotion should focus on how you can persuasively reach the people who are most likely to want your product or service. Although marketers have many more tools – websites, social media, newsletters – at their disposal these days, promotion has gotten harder in some ways, because consumers are overwhelmed with images and messages coming at them from all directions. Try a variety of tactics and see which ones help you increase sales. Example: It’s challenging to attract people to an event, attract new customers, or even get someone to click on an ad for a business they’ve never heard of. Sometimes the most effective way to promote your business is to partner with a business or organization that serves clients or customers in overlapping target markets. For example, The Farmer’s Office and Good Egg Marketing both provide services for farmers and food-related enterprises. We often engage in cross-promotions like the one I used in the pricing section above. I helped promote her business; as a thank you to me, she’s offering my subscribers and clients a free subscription to her website (which includes the Pricing Strategies webinar) for one month. Brainstorm: What are the best ways to reach your target customers? If you don’t know, ask your customers a few questions. What problems or needs can you solve for them? Where do they hang out, either in real life or online? Resource: Here are some tips on how to understand your target market. Click here to download a free worksheet to help you brainstorm about your Six Ps. Did the Six Ps prompt you to do any of your own brainstorming? If so, let Good Egg Marketing know how you were inspired and we may feature you in an upcoming article.